Google shows a Doodle today (December 08 th, 2011) for celebrating 125th Birth Day of Diego Rivera. Rivera was born on December 8th, 1886 in Guanajuato which is a city located in central Mexico. Diego Rivera was considered leader of Mexican muralists. A mural is any piece of artwork painted or applied directly on a wall, ceiling or other large permanent surface. A particularly distinguishing characteristic of mural painting is that the architectural elements of the given space are harmoniously incorporated into the picture. You can see below the Diego Rivera's mural depicting Mexico's history at the National Palace in Mexico City. Diego Rivera is credited with re-introducing frescoes – murals painted on fresh plaster – into modern art and architecture. Diego Rivera's Wife Frida Kahlo is also a famous painter who is best known for her self-portraits. 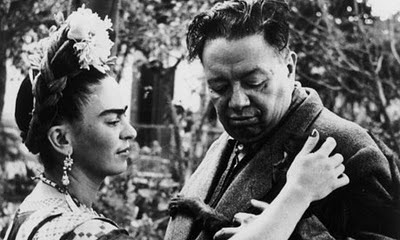 The below photo shows both Diego Rivera and Frida Kahlo. 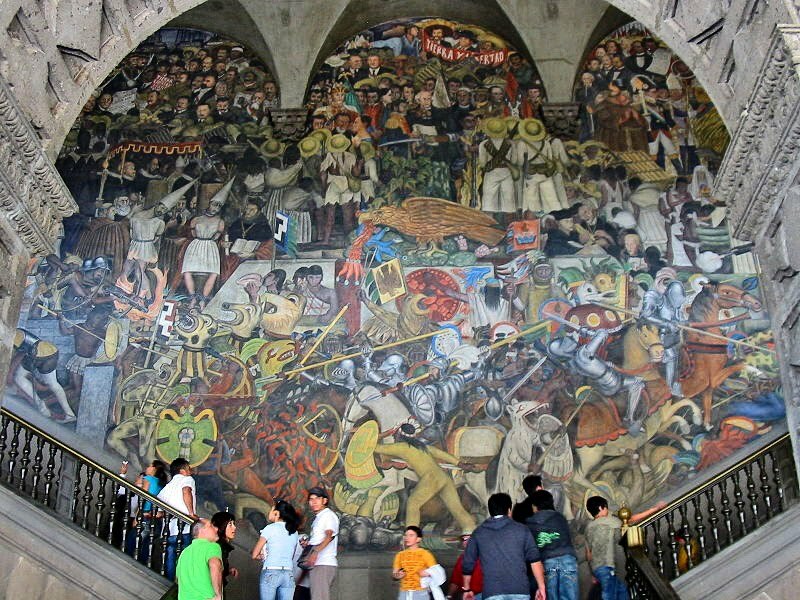 Watch the below Video to see the famous Murals of Diego Rivera.